Do you want more information about endometriosis? Do you want to talk to other women affected by this condition? If you answered “yes” to any of these questions, sign-up below for the Endometriosis.net weekly newsletter! At Endometriosis.net, we track drug approvals, academic and medical research, latest trends, and current events. By subscribing to our newsletter, you can stay up-to-date on the latest news and research affecting the endometriosis community, and learn more about managing this chronic condition. 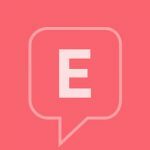 Each week, we share articles and videos from the people who know it best- our Endometriosis.net advocates. Our advocates include patients, medical experts, and caregivers, all who understand the realities of life with endometriosis. Learn from these experts, as they share their tips for managing endometriosis. Each week, we host an endometriosis-focused poll, with topics ranging from diet & nutrition to treatment experiences and quality of life. As part of our weekly newsletter, we invite you to share your opinions and experiences, and help us to better understand the endometriosis community through your vote. Have you ever wondered, “Am I the only one dealing with this?” or “Has this happened to other women too?”? In every newsletter, we feature a story from someone affected by endometriosis, including patients, family members, and romantic partners. Through their stories, learn more about endometriosis, and how your experiences compare. Through our newsletters, we sometimes share upcoming opportunities for women with endometriosis. If you have ever considered participating in a clinical trial, or want to participate in a paid research study, sign-up for our newsletter today! Still unsure? If you have questions about signing-up for our newsletter, email us at [email protected] to ask questions, and learn more. As a reminder, we will never sell or share your email address, contact information, or personal data. We hope our newsletter, and the Endometriosis.net community, can support you in your endometriosis journey. Do you have a friend or family member who might enjoy our newsletters? CLICK HERE to refer-a-friend today.